Friendly, enthusiastic and demanding – Jürgen Klopp's character traits make Liverpool the ideal place for Xherdan Shaqiri. The Switzerland international sealed a switch to the Reds from Stoke City in July after his most productive season of three in the Premier League to that point, including eight goals in 2017-18. 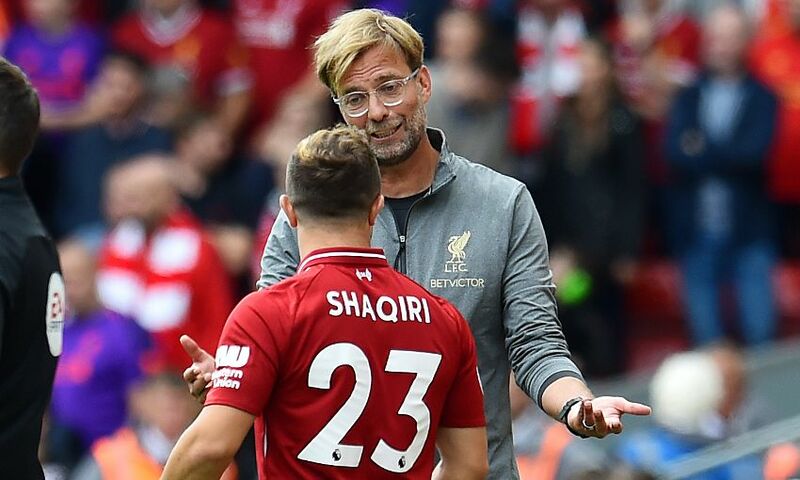 Klopp, who crossed paths with Shaqiri while the pair were in the Bundesliga at Borussia Dortmund and Bayern Munich respectively, described the signing as a ‘no-brainer’ upon its completion. Liverpool fans have had glimpses of the new No.23 so far this season, in substitute appearances against West Ham United and Leicester City as four consecutive wins were achieved. Behind the scenes, he is settling well – not least because of the identity of the manager. “He’s a very good coach, but for me the character he has is also important. He has a very nice character, you can joke with him, but of course you have to be focused on the pitch and give everything,” says Shaqiri in the latest edition of the official Liverpool FC magazine. “You can see the relationship he has with the players all the time, he’s very friendly in speaking with them, and that was important for me in coming here and working with him. The Reds’ impressive start to the season has offered encouragement they can again build on the previous campaign, in which they were Champions League runners-up and finished fourth in the Premier League. Shaqiri was a serial trophy winner during his two-and-a-half years with Bayern and before that with FC Basel – and he believes Liverpool have the potential to follow suit this term. “The aim is for the club to win something – that has to be the goal of our team,” he explains. 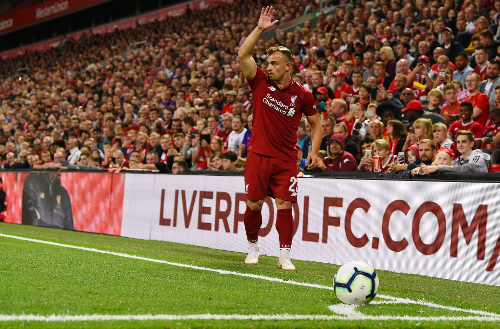 Shaqiri played at Anfield three times during his spell with Stoke and featured in the second half of the pre-season win over Torino in L4 before the Premier League season started. But his introduction from the bench against West Ham on the opening weekend was his first taste of competitive football at the stadium for his new club. “Coming on in the West Ham game was my first experience of playing for Liverpool at the stadium in a competitive game and it was a great feeling to be back there in the Premier League,” adds the 26-year-old. “There was an amazing atmosphere in the stadium, too, and to live that experience was incredible and a dream come true for me. Previously I’d only played in the Premier League at Anfield with Stoke and it was different to play here as the away team and always difficult.